This is an odd lot, and rarely seen these days. I'd not like to even hazard a guess of how many of these packs, sent out by Marv Wolfman in December 1971, still exist intact. This set not only exists, but it also comes in it's original envelope, as sent by Marv to a former editor of an ERB fanzine, who stored it and then sold it to me back in 2005. It's been sitting amongst my original art since then, and I don't think I've ever shown all of the scans in the one post before, and if I have, well I can't remember it. I can't recall when I first became aware of Joe Orlando's artwork, most probably it was in a DC Comic, where Joe finished out his career. As I can't remember I expect that his art didn't exactly impress that much, no great surprise as Joe, like a lot of the E.C. artists, just didn't reach the heights at the mainstream companies as they had done at E.C. and in the pages of Mad Magazine. 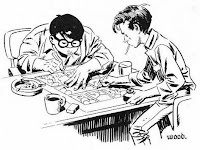 Don't get me wrong, Jack Davis I've always loved - I've kept a pile of Time Magazines with Davis covers (I must dig them out and scan them one day, if only to post them) and I can't say enough about Wally Wood and the likes of Al Feldstein and co, but Orlando? Well, what can I say? 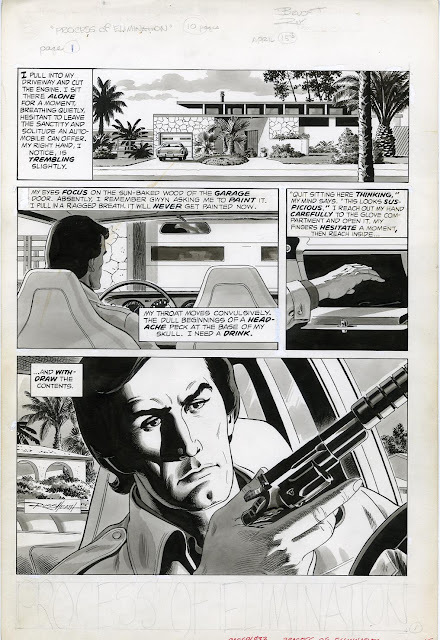 Much like Russ Heath and Gray Morrow, those guys were wasted on drawing pedestrian superhero comics for editors who just didn't know what the artists were really capable of producing. Blame Alan Weiss. 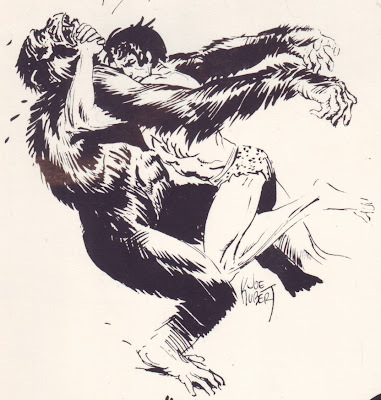 For years he'd been telling about the sheer majesty and beauty of Russ Heath and his art so I began to check it out and damned if he wasn't right, as usual. What Alan doesn't know about art and artists just isn't worth knowing.